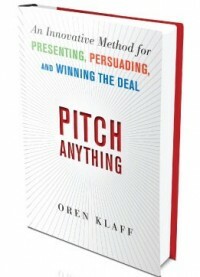 My notes on Pitch Anything: An Innovative Method for Presenting, Persuading, and Winning the Deal by Oren Klaff. A frame is the instrument you use to package your power, authority, strength, information, and status. Everyone uses frames whether they realize it or not. Every social encounter brings different frames together. Frames do not coexist in the same time and place for long. They crash into each other, and one or the other gains control. Only one frame survives. The others break and are absorbed. Stronger frames always absorb weaker frames. When you are responding ineffectively to things the other person is saying and doing, that person owns the frame, and you are being frame-controlled. If you have to explain your authority, power, position, leverage, and advantage, you do not hold the stronger frame. Defiance and light humor are the keys to seizing power and frame. When you are defiant and funny at the same time, he is pleasantly challenged by you and instinctively knows that he is in the presence of a pro. The mistake most people make when they see their audience becoming fatigued is to talk faster, to try to force their way through the rest of the pitch. Instead of imparting more valuable information faster, however, they only succeed in helping the audience retain less of their message. When you encounter a time frame like this, quickly break it with a stronger prize frame of your own. Qualify your target on the spot. If you’re pitching a product and the drill-down is on price, don’t chase this conversation thread. Do answer fast, answer directly with high-level details only, and go straight back to the relationship question. What this tells the audience is that (1) I’m trying to decide if you are right for me; (2) if I decide to work with you, the numbers will back up what I’m telling you, so let’s not worry about that now; and (3) I care about who I work with. Keep the target focused on the business relationship at all times. Analysis comes later. This is the best and most reliable way to deal with a target who suddenly becomes bored and tries to entertain himself with the details of your deal. Remember, when you own the frame, you control the agenda, and you determine the rules under which the game is played. When the target agreed to the meeting with you, what he or she really was saying was, “This is a puzzle I am interested in solving.” No one takes a meeting to hear about something they already know and understand. It’s a fundamental concept driving every single presentation—it’s the hook that allows you as the presenter to grab and hold attention by subconsciously saying, “I have a solution to one of your problems. I know something that you don’t.” This is why people agree to take meetings and to hear a pitch. At the start of the meeting, you have the audience’s attention. It’s a rare moment, but not for the reason you may think. Audience members are, with full concentration and at the most basic and primal level, trying to figure out the answer to this question: “How similar is your idea to something I already know about or to a problem I have already solved?” If audience members discover that the answer is close to what they had earlier guessed, they will mentally check out on you. They will experience a quick ping of self-satisfaction at the moment of realization, just before they mentally check out. As your pitch moves along, at any time, some or all members of your audience will solve the puzzle, see the solution, and get the whole story. Then they check out. This is why you see presenters lose more and more of the audience as time goes on—those who solve the puzzle drop out. We generalize by saying, “Oh, they lost interest.” But what really happened is that they learned enough about our idea to feel secure that they understand it—and there is nothing more to be gained by continuing to pay attention. They determined that there was no more value to be had by engaging with us on any level. When your target drills down into technical material, you break that frame by telling a brief but relevant story that involves you. You need to be at the center of the story, which immediately redirects attention back to you. People will pause, look up, and listen because you are sharing something personal. As you share your story, there has to be some suspense to it because you are going to create intrigue in the telling of the story by telling only part of the story. It must be brief, and the subject must be relevant to your pitch. You need to be at the center of the story. There should be risk, danger, and uncertainty. There should be time pressure—a clock is ticking somewhere, and there are ominous consequences if action is not taken quickly. There should be tension—you are trying to do something but are being blocked by some force. Prizing is a way to deal with threatening and fast-approaching frames that are likely to push you into a low-status position. If you are trying to win your target’s respect, attention, and money, he becomes the prize. Prizing is the sum of the actions you take to get to your target to understand that he is a commodity and you are the prize. Successful prizing results in your target chasing you, asking to be involved in your deal. Money is never a prize; it’s a commodity, a means for getting things done. Money simply transfers economic value from place to place so that people are able to work together. Protect your status. Don’t let the buyer change the agenda, the meeting time, or who will attend. Withdraw if the buyer wants to force this kind of change. Remember, small acts of defiance and denial, combined with humor, are extremely powerful in maintaining your frame control and in reinforcing your high status. A couple of years ago, I took a meeting with Bill Garr, a hedge fund manager. I found myself in Bill’s office with no frame control and in the beta position. I perpetrated a mildly shocking but not unfriendly act that caused a new frame collision. As the shock of my action wore off, the attention of the targets did not waver—believe me, it never does when you do something like this—and I continued accumulating status like a video gamer collecting power stars as each of the targets advances to new levels. The faster you grab status, the more is available for you to take. As I captured attention, I then shifted my focus to acquiring local star power and the alpha status. I got local star power by using information dominance to quickly shrink the frame around my area of specialization, making me unassailable. Because I was the expert, no one could undermine my deal points. Using my newly acquired local star power, I quickly moved the discussion to a level where I could not be challenged by using the primary core values of hard work, domain expertise, and moral authority—which we will discuss in a moment. The moment I was done with my pitch, I began to pull away and kept pulling away until I finally left the office—but not before I had set the hookpoint and received a decision. Here are the steps involved in elevating your status in any situation. You will recognize some of these actions from framing, and for good reason. Frame control and status are closely related, as are the pitch techniques you will learn in Chapter 4. Politely ignore power rituals and avoid beta traps. Be unaffected by your customer’s global status (meaning the customer’s status inside and outside the business environment). Look for opportunities to perpetrate small denials and defiances that strengthen your frame and elevate your status. 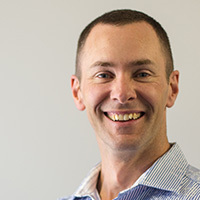 As soon as you take power, quickly move the discussion into an area where you are the domain expert, where your knowledge and information are unassailable by your audience. Apply a prize frame by positioning yourself as the reward for making the decision to do business with you. Short time frames are not a choice. You can’t afford to run longer. The audience’s brain won’t give you more time. And worse, when attention runs dry—after about 20 minutes—the brain starts forgetting things it has already learned. Let the target know he isn’t trapped in the typical hour-long-meeting: “Guys, let’s get started. I’ve only got about 20 minutes to give you the big idea, which will leave us some time to talk it over before I have to get out of here. Introduce yourself and the big idea: 5 minutes. Explain the budget and secret sauce: 10 minutes. Offer the deal: 2 minutes. Many times I’ve seen people spend 15 minutes or longer on their background. Absurd. No one is that fantastic. Stop with one great thing. Get your track record on the table, and do it fast, clean, and problem-free. Who are dissatstifed with [the current offerings in the market]. That provides [key problem/solution features]. First, you put the target at ease by telling him in advance that the pitch is going to be short, just about 20 minutes, and that you’re not going to be hanging around too long afterward. This keeps the target’s croc brain focused on the here and now and feeling safe. Then, you give your background in terms of a track record of successes, not a long list of places and institutions where you simply “punched the clock.” There’s plenty of evidence to suggest that the more you talk about your background, the more average it becomes because the target is hardwired to average information about you, not add it up. Because the brain pays attention to things that are in motion, you paint a picture of the idea moving out of an old market into a new one. Doing it this way, you don’t trigger change blindness, which would make your deal easy to neglect. Realization 1: It doesn’t matter how much information you give, a lot or a little, but instead how good your theory of mind is. In other words, it’s important how well you can tune your information to the other person’s mind. Attention will be given when information novelty is high and will drift away when information novelty is low. When a person is feeling both desire and tension, that person is paying serious attention to what’s in front of him or her. It comes down to the presence of two neurotransmitters: dopamine and norepinephrine. Dopamine is the neurotransmitter of desire. Norepinephrine is the neurotransmitter of tension. Together they add up to attention. You need them both to be coursing through the crocodile brain. To give a dopamine kick and create desire, offer a reward. Dopamine isn’t exactly the chemical of experiencing pleasure. Instead, it’s the chemical of anticipating a reward. “How do you get more dopamine flowing in your brain? NOVELTY. A raft of brain imaging experiments has demonstrated that novel events … are highly effective at releasing dopamine. Your brain is stimulated by surprise because our world is fundamentally unpredictable.” He adds, “You may not always like novelty, but your brain does. You create novelty by violating the target’s expectations in a pleasing way. Novelty in the form of an unexpected gain gives the brain a blast of dopamine. On the other hand, if a reward you expected fails to materialize, then dopamine dries up, and negative feelings start happening. The amount of dopamine in the cocktail has to be just right. Not enough, and there is no interest in your or your ideas; too much, and there is fear or anxiety. There’s a two-way connection between pushing and pulling that, when it operates simultaneously, introduces enough tension to create alertness. If you always pull the target toward you, he or she becomes cautious and anxious. Constantly pulling someone in, also known as selling hard, is a signal of neediness. As business people, we come together to find solutions to problems—not to admire problems that have already been solved for us. If you don’t have a series of challenges for the target to over-come—with pushes and pulls and tension loops—then you don’t have a pitch narrative. Focus on demonstrating your skill at budgeting, which is a difficult and highly regarded executive talent. Spend almost no time on your skills at projecting revenue—a task any simpleton can perform. How easy it is for new competitors to jump in the game? How easy it is for customers to switch out your product with alternatives? This one thing will give you staying power against competition. “Secret sauce” – the unfair advantage you have over others. Describe to your audience what they are going to receive when they decide to do business with you. Deciding that you like something before you fully understand it—that’s a hot cognition. In decision making, however, we don’t do much analysis, if any at all. We go with our gut. Experiments have detected decisions seven seconds before the subjects felt they had made a conscious choice. Most of the time, the data we have collected about choices and alternatives and options aren’t used to make a decision anyway. They are used to justify decisions after the fact. Even when we try the rational approach—making lists of pros and cons—if it does not come out how we like, we go back and redo the list until it does. Introducing something the target is sure to want—but cannot get right now. This is the kind of narrative that targets truly enjoy. Who is this mystery man, Joshua, and how do we meet him? This works because it is not about what happened. That’s actually a boring story. What’s important is who it happened to and how the characters reacted to their situation. Nobody cares about narratives where you witnessed something. They want to see someone forced into action and positively overcoming obstacles. People want to know how you have faced obstacles and overcome them. They want to see you in situations that reveal your character. They want to know that you are someone who rises to whatever level necessary to overcome obstacles and someone who travels in the company of interesting people who are players in whatever game you are playing. The target’s brain does not love abstract concepts—every abstract concept has to be kicked up to the neocortex to be worked on, slowly and painstakingly. What did you last business partners say about you? When things go sideways in a deal, how do you handle it? The addition of time pressure to a decision-making event reduces decision quality. There’s a scarcity bias in the brain, and potential loss of a deal triggers fear. Extreme time pressure feels forced and cut-rate. But the truth is that time is a factor in every deal. You have to find the right balance between fairness and pressure and set a real time constraint. The president can lead us into war or, with a few pen strokes, sign a bill that will affect millions. But when his doctor says “turn around and take your clothes off” he does it without question. I got them all to sign up for volunteer work. Neediness is a signal of threat. This is the purest form of validation seeking and the most lethal form of neediness. One dramatic way to eradicate neediness involves going into every social interaction with a strong time frame that you are prepared to use at any moment. This frame communicates, loudly and clearly, that you are needed somewhere else. But this is just a part of a broader, more comprehensive solution to eradicating neediness. Focus only on things you do well. Eliminate your desires. It’s not necessary to want things. Sometimes you have to let them come to you. Be excellent in the presence of others. Show people one thing that you are very good at. This deal will be fully subscribed in the next 14 days. 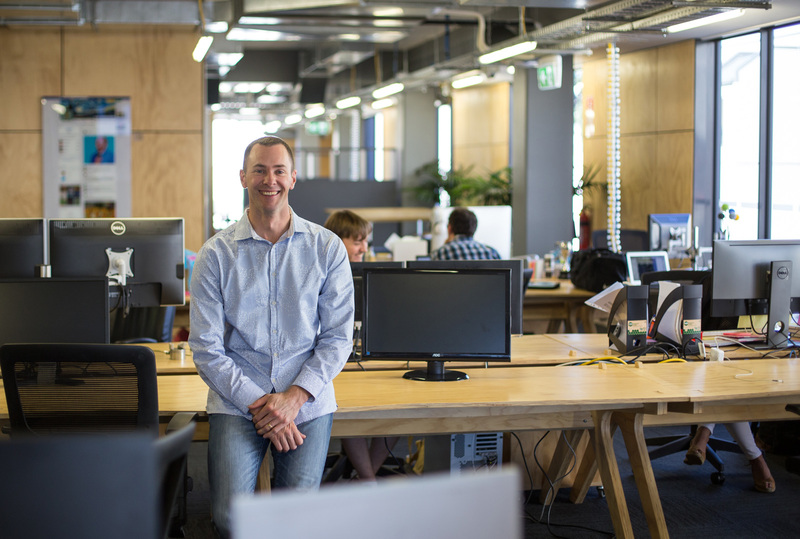 We don’t need VC money, but we want a big name on our cap sheet that will strengthen our initial public offering (IPO) registration. The brain is wired to do things to achieve status, not money. Learn to recognize beta traps and how to step around them. This is a low-risk way to train your mind to begin thinking in a frame-based way. As you go about the business of life, look for the beta traps. Identify anything that is designed to control your behavior, and think of how you would step around it. The key at this stage is to get good at seeing the traps (they are everywhere). While there is no immediate harm in doing nothing, when you are told to wait in the lobby until called, it’s a test. Remind yourself that if you step into this beta trap, the next one will be even larger and more difficult to overcome. In a gradual way, start stepping around beta traps. It will feel uncomfortable at first, of course, but it will push you forward to the place where it becomes natural and hardly noticeable to you. Work with a partner to practice beta-trap avoidance. As I said at the start of this book, this method is powered by its simplicity. I’ve been practicing it for over 10 years, and I’ve survived and prospered using only four basic frames and the ability to avoid beta traps. So don’t over complicate this or worry over your lack of technique. It will come naturally to you. Just be sure to have fun at it—that’s the secret to success. Identify and label social frames. Notice the frames that are coming at you on every level of your life. Power frames, time frames, and analyst frames are everywhere, and they crash into you on a daily basis. Develop your ability to see them coming, describe them, and discuss them with your partner. Become very good at identifying frames using the unique language of framing. Begin to initiate frame collisions with safe targets—those who pose no major career risk to you. What I’m saying is, tomorrow, don’t stride into the CEO’s office, grab a sandwich out of his hand, and put your feet up on his desk, telling him that it’s time you and he had a talk about your bonus. Working with a partner, begin to overtake opposing frames in a fun, light-hearted way. I’m repeating this because it’s so critical: Remember that humor and a soft touch are absolutely necessary. 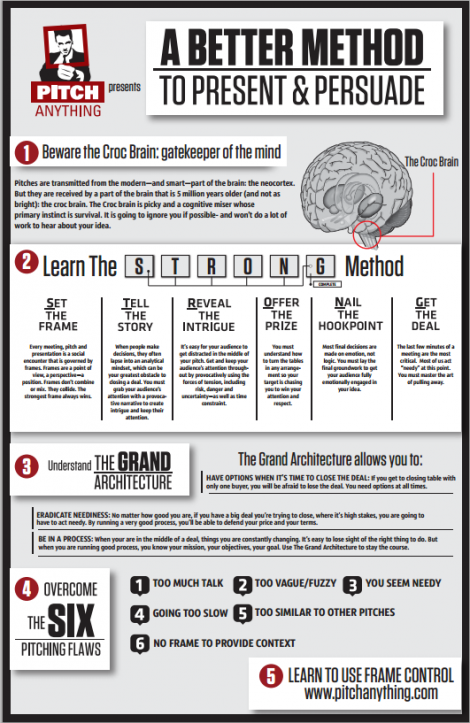 Without it, you will appear rude and arrogant and will trigger croc brain defense responses instead of engaging your target in a fun and spirited social exchange. The small acts of defiance and denial you use to take control of a social frame create a certain amount of conflict and tension. This is the point. Push. Pull. Delivering these acts with a soft touch reassures the target’s croc brain that everything is okay—that there is no clear and present danger. If you are having difficulty at this stage, it is because you are triggering defensive responses, which means you are coming on too strong. If this is the case, pause. Do not press forward if you are struggling because that means that something is wrong. Find another partner to do this with, choose a different social environment, practice in another venue, or just punch “Reset” and start over. Frame control cannot be forced because this takes the fun out of it. This is not theater for someone else to enjoy. It’s not a dog and pony show. It’s a game for your own personal enjoyment—and for a moment, consider why we play games—to enjoy ourselves in a challenging but fair way where we can rack up a win. If you find yourself forcing the method, fortunately, this is an easy problem to fix. Simply lighten up a little. When you say something that causes a frame collision, do it with a twinkle in your eye and a smile in your heart. Your target will feel your good will and good humor and respond in a positive way. Above all, remember that this is not a conventional sales technique. You need not be a back-slapping, guffawing blow-hard to win business from your customers. There is no pressure here, no brute force, and no anxiety. Instead, this is a fun game that you bring to every target with whom you meet. Simply enjoy every moment, and others will enjoy it with you. It’s nice to know that your continued happiness is what will make you successful. What could be easier? Work with other frame masters. Now that you have developed a basic level of skill, seek out others who are better than you. As with any other artistic or athletic endeavor, apprenticeship leads to mastery faster than going it alone. Continue to work with others. Like a 10th dan black belt, you never stop refining your technique and honing your mastery. Keep it simple, stick to a few frames that work for you, and avoid complication. In the PITCH method, less really is more. As you advance, teach others. When you become a frame master—and even on your journey to becoming one—you will have the most fun you’ve ever had. I find myself cracking up sometimes in the middle of a pitch, even when the business I’m doing involves millions of dollars. Why not? This is a game where you set the rules and then change the rules as needed to maintain your continuous advantage without ever upsetting your opponent. Imagine that. The only rule is that you make the rules that the others follow. Because you set the agenda and control the frame, this is a game you can never lose. How could that not be fun? Have fun. Inject humour. Small acts of defiance can be fun for everyone. Excellent summary! I own the audio book, and I dreaded having to transcribe my favorite sections. Thanks for posting this. Thanks you so much for doing this. The book was awesome, but these notes are so helpful in being able to use it in my business. exactly what I was looking for after listening to the audio book! Outstanding work! Hey awesome summary I love it! Since reading this book I’ve become so interested in framing, reframing, and frame control. DOES ANYONE KNOW ANY OTHER BOOKS ON FRAMING? I find it so interesting, there’s gotta be a number of other books on framing because you see it so often in politics and other industries. Well done! This is a huge time saver. Thanks!!! The book was really good and this summary is just perfect to capture the essential part of it. It is really helpful in order to go back to key information needed. I’m figuring out how to use framing in telephone sales. I must have used this in the past with sales that went so smoothly that you cannot believe it, but I was not aware of it. This summary is incredibly useful – thank you. Is there a way to download or make this printer friendly? Hi Dan, the page is printer-friendly. Go ahead and print it using your favourite browser and the sidebar and header will be removed. Saved me a lot of time! Very thorough! In your opinion, I would be curious to know when would be a good time during the pitch to introduce “your team”? Great to hear it Christian. Surely you should introduce your team as you walk in the room? It would be awkward to be in the meeting without knowing their names. All the best!